Make your notebook PC more capable, more convenient, and easier to use! With its sleek, innovative design, the Logitech V250 Cordless Mouse and Number Pad kit for Notebooks is easy to pack and carry and features a complete set of functions that will enhance your notebook experience! All-Terrain Optical technology provides excellent tracking performance at home and on the road with no ball to clean! 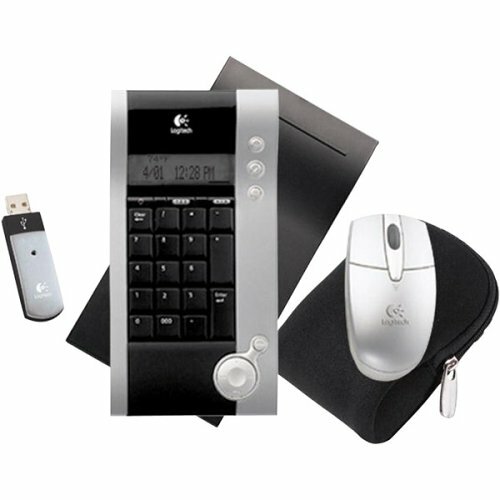 The Cordless Number Pad doubles as a smart calculator and displays time, date, and temperature. Also includes Audio and Video controls. The slim wireless mini receiver fits into crowded areas easily and eliminates clutter of cords. Finally, the battery-saving on-off switches conserve power and it all comes with convenient carry cases! Complement any notebook in style!